The Somali jihadist organization al-Shabaab did not exist a decade ago. Today, its success in recruiting and radicalizing Muslims inside the United States has made al-Shabaab "a direct threat to the U.S. homeland," according to an investigative report by the House Homeland Security Committee. Al-Shabaab, which is affiliated with al-Qaida, is fighting to oust the Transitional Federal Government (TFG), an "interim" regime that has served as the nominal government of Somalia since 2004. The TFG is supported by the African Union Mission in Somalia (AMISOM) military force, comprised of approximately 8,000 troops from Uganda and Burundi. Until recently, the Somali government controlled little more than a few parts of Mogadishu, the capital, while al-Shabaab exercised control over much of southern and eastern Somalia and part of Mogadishu. But al-Shabaab has been plagued by defeats and desertions, and last month the terror group withdrew from territory it occupied in Mogadishu. Al-Shabaab evolved out of the Islamic Courts Union (ICU), an Islamist group that went to war against the Somali government five years ago. The ICU captured Mogadishu in June 2006. By late October, the ICU had effectively encircled the TFG in Baidoa, located in south-central Somalia. The only thing preventing the city's destruction were Ethiopian soldiers defending the city. Shortly after the ICU emerged, "hundreds of terrorists from Afghanistan, Chechnya, Iraq, Pakistan and the Arabian Peninsula arrived to train in or staff these camps," wrote Daveed Gartenstein-Ross of the Foundation for the Defense or Democracies. A United Nations Monitoring Group on Somalia warned that the ICU "is fully capable" of turning the country into "an Iraq type scenario, replete with roadside and suicide bombers, assassinations and other forms of terrorist and insurgent-type activities." That warning would soon appear prophetic. Al-Shabaab's priority in 2006-07 was driving the Ethiopians out of Somalia, and its military campaign took a heavy toll on the invaders. In 2008, the foreign forces faded into obscurity, as al-Shabaab established a Sharia-based regime in Somalia. That October, al-Shabaab carried out five suicide bombings in northern Somalia, killing 28 people. One of the killers was Shirwa Ahmed of Minneapolis, who became the first American suicide bomber. Several months later, the Associated Press reported on "growing evidence" that battle-hardened jihadists had migrated from Afghanistan and Pakistan, and had begun moving into Somalia and other locations in southern Africa. The report came one month after al-Qaida leader Osama bin Laden called for a jihad against the Somali interim government. After driving out the Ethiopian Army, al-Shabaab conducted terrorist operations outside Somalia's borders. In August 2009, police in Melbourne, Australia arrested five Australian nationals of Somali and Lebanese origin who were allegedly planning to attack an Australian army base with automatic weapons. The arrests came following seven months of surveillance on the suspects, who the government says were connected with al-Shabaab. Another Shabaab-linked plot involved a Jan. 1, 2010 attack on Danish cartoonist Kurt Westergaard, who has been targeted by Islamists over his depictions of the prophet Muhammad. A Somali man linked to the terror group was convicted of attempted murder for attempting to break into Westergaard's home with an axe. Al-Shabaab has threatened Uganda and Burundi for contributing troops for the AMISOM force, and on July 11, 2010, it bombed two locations in Kampala, Uganda where crowds had gathered to watch the World Cup soccer tournament. Seventy-six people died in the Kampala bombings, which targeted a rugby complex and an Ethiopian restaurant. "This is only the beginning," al-Shabaab warned following the attack. The jihadist group vowed to "unleash a new tide of terror" against its enemies. Could al-Shabaab Attack the United States? Al-Shabaab's first threats against the United States came in 2008. In February, the group responded to reports that the United States had launched covert airstrikes against terror targets in Somalia. It vowed to give the United States "a taste of hardship in all the regions where they are present in the east and west of Somalia." One month later, it vowed once again to attack the United States, but hinted the next attack would come outside of Somalia. Al Shabaab declared that it would take action that would make America "forget the blessed attacks in Nairobi and Dar es Salaam" referring to the August 7, 1998 bombings in Kenya and Tanzania that killed 224 people including 12 Americans. 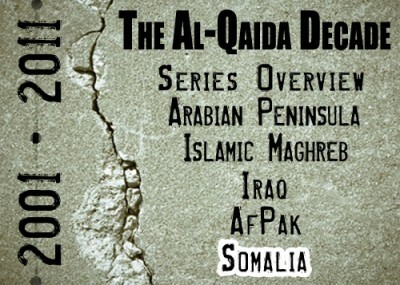 On June 1, 2008, Abu Zubeyr, the group's current leader, declared al-Qaida's intention to attack the United States. He warned "cursed America" that future attacks would occur against America, which was conspiring to retard Muslims "economically and politically and (sic) technologically and religiously and morally." When the House Homeland Security Committee held a hearing on al-Shabaab in July, ranking Democrat, Rep. Bennie Thompson of Mississippi, argued that the group "does not appear to present any threat to the homeland." Information found at Osama bin Laden's Abbottabad, Pakistan compound showed he was issuing orders to al-Shabaab, said Thomas Joscelyn of the Foundation for the Defense of Democracies. Also, al-Shabaab members have been trained by al-Qaida operatives involved in past attacks targeting Americans. Fazul Abdullah Mohammed, architect of the 1998 embassy bombing and a founder of al-Shabaab, was shot to death in June by soldiers near a Mogadishu military checkpoint. Somalia's lack of a functioning government makes it difficult for U.S. security officials to monitor the movement of Americans and Canadians who travel to Somalia. At a 2009 hearing, then-FBI Associate Executive Assistant Director Philip Mudd downplayed the idea that al-Shabaab could pose a threat to the United States – but with one important caveat. "I would talk in terms of tens of people, which sounds small but it's significant, because every terrorist is somebody who could potentially throw a grenade into a shopping mall," Mudd said. Information about the number of American recruits for al-Shabaab is "fuzzy," he said, because there "are thousands of people – thousands going to the Horn of Africa every month. You can go to Kenya to look at game parks, and it's hard for me to tell you if somebody's going to a game park or going to Shabaab. So, I am sure there are people out there that we're missing." The Homeland Security Committee report found that al-Shabaab-related indictments "account for the largest number and significant upward trend in homegrown terrorism cases filed by the Department of Justice over the past two years," with at least 38 cases since 2009. Al-Shabaab "has an active recruitment and radicalization network inside the U.S. targeting Muslim-Americans in Somali communities," the report said. At least 40 Americans have joined al-Shabaab, and at least 15 Americans have been killed while fighting alongside the group, the report said. At least 21 American al-Shabaab fighters are still at large or unaccounted for, while as many as 20 Canadians of Somali descent have disappeared and are believed to have joined al-Shabaab, according to Canadian security officials. A Saudi cleric who denounced al-Shabaab and other Somali combatants outside the Abubakr As-Saddique Islamic Center in Minneapolis in July was allegedly attacked by an angry mob shouting "Allahu Akhbar!" ("God is Great!"). A recording of the assault was posted on overseas jihadist chatrooms "before most in Minneapolis knew it happened," the report found. "They glorified Allah and showered [the al-Shabaab critic] and showered him with hits and kicks," one jihadist wrote. "Next time, with permission from Allah, cut off the head of the likes of this filthy one." One of al-Shabaab's rising combat commanders is Omar Hammami, who has vowed to avenge the killing of bin Laden in May. A native of Daphne, Ala., Hammami (AKA Abu Mansour al-Amriki,) is a convert to Islam who has been designated a terrorist by the Treasury Department. In 2009, he was indicted for providing material support for terrorism. Hammami "poses a direct threat to the U.S. homeland with his ability to assist Shabaab, core Al Qaeda or AQAP [al-Qaida in the Arabian Peninsula] with plots, but he also has become a source of inspiration for jihadis. Two terror defendants in New York, Betim Kaziu and Saujah Hadzovic, were inspired to travel to Egypt for violent Islamic jihad by watching Hammami tapes," the House report said. Al-Shabaab has forged operation ties with AQAP in Yemen, and Shabaab operative Ahmed Abdulkadir Warsame was indicted in July for receiving explosives training from AQAP, and attempting to organize a weapons deal with that group. "No Al Qaeda allied group, including core al Qaeda or the Yemen based…AQAP, has attracted anywhere near as many American and Western recruits as Shabaab over the past three years," the House report said. There "is a looming danger of American Shabaab fighters returning to the U.S. to strike or helping Al Qaeda or its affiliates attack the homeland. U.S. intelligence underestimated the Pakistani Taliban and Al Qaeda in Yemen's capability of launching attacks here; we cannot afford to make the same mistake with Shabaab." This is definitely a force to be reckoned with. We have a large Poor Somali youth looking for adventure and a cause, a weak government in political and economic turmoil. The group is exploiting the situation to further it's cause of violence and terrorism. They are exploiting American Somali immigrants as recruits for their jihad. We must be vigilant.